Liberals imagine someone 'more feminine, younger and more loving,' while conservatives have a 'powerful' white guy in mind, researchers say. CHARLOTTE, N.C. — We now know what God might look like – or at least what a group of extremely brave psychologists are suggesting, based on research at the University of North Carolina at Chapel Hill. Among the team’s many conclusions: Liberals and conservatives see God differently – a lot differently. 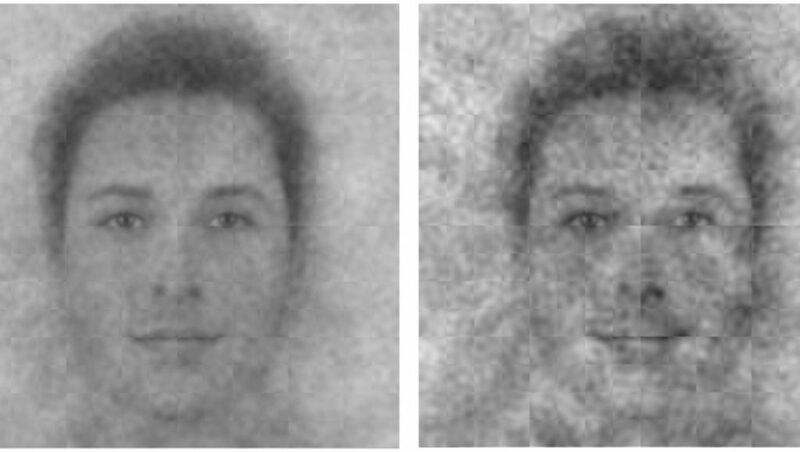 The researchers came to that realization after asking 511 American Christians what they think God looks like, so a composite mug shot could be created from the many responses. The end result is a mug shot that shows God is white, young and clean cut, not unlike someone from an ’80s boy band. As for his expression, Mona Lisa’s vague smile comes to mind. All 551 of the Christians involved came to the study with some kind of bias, the researchers said. Liberals imagined God as “more feminine, younger, and more loving,” while conservatives have a white guy in mind who was “more powerful,” said the researchers. “These biases might have stemmed from the type of societies that liberals and conservatives want,” said the study’s lead author Joshua Conrad Jackson, in a synopsis posted on UNC Chapel Hill’s website. “Past research shows that conservatives are more motivated than liberals to live in a well-ordered society, one that would be best regulated by a powerful God. The final image crafted by the study is basically just a big guess, since the Bible doesn’t spell out what God looks like.